Rare. Four records in Ferguson 1907-1952. 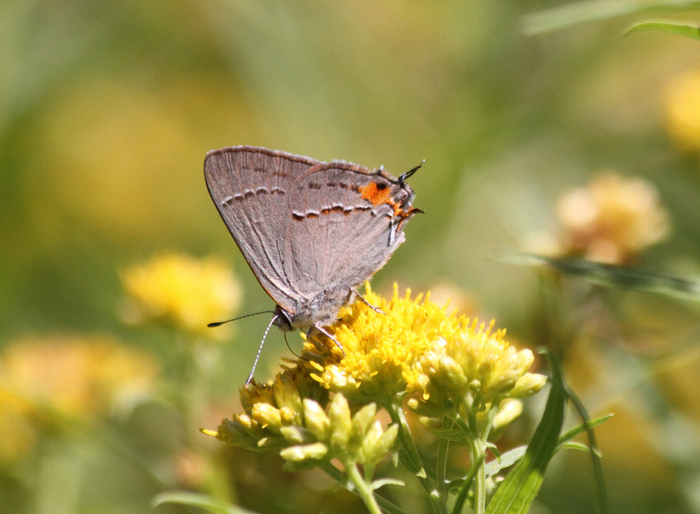 There is one record for Nova Scotia in the Maritimes Butterfly Atlas: August 26 2012 in River Bourgeois. Mid-May to late August. Possibly two overlapping broods. Sweetfern (Comptonia peregrina) in N.S., possibly many other plants. 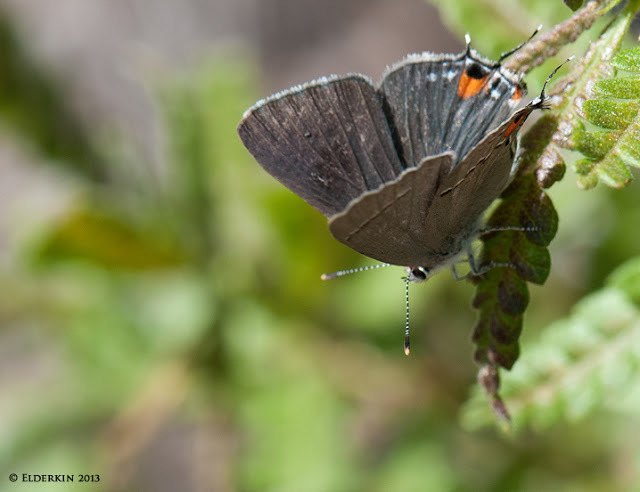 All four of our common hairstreaks are superficially similar. 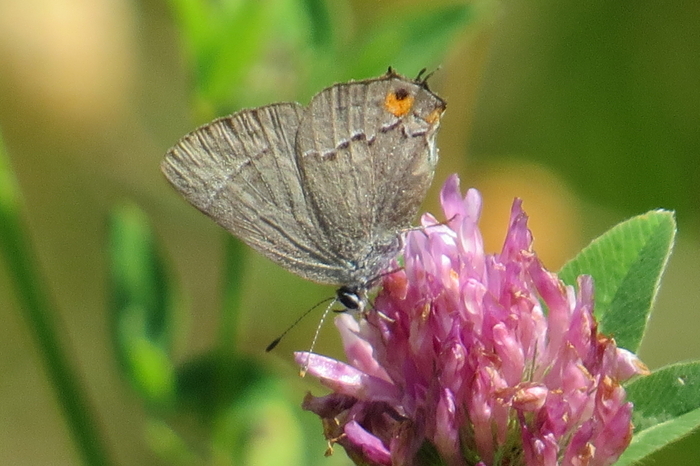 The major differences are in the patterning on the underside of the wings. 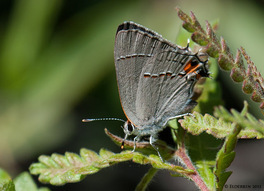 See Acadian Hairstreak, Banded Hairstreak and Striped Hairstreak. 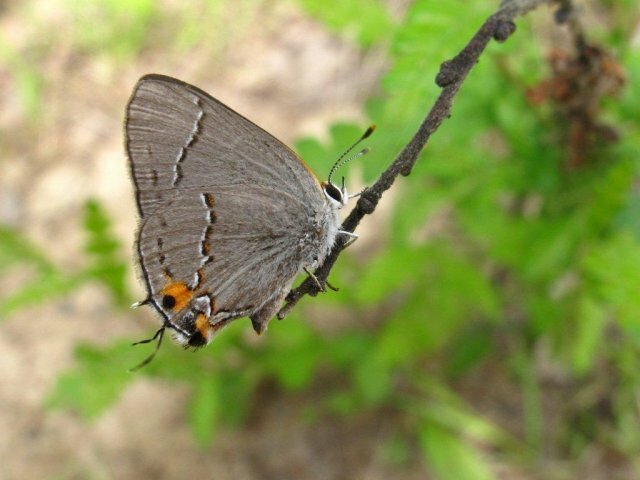 This species is believed to be a seasonal migrant from the south, i.e. it probably does not overwinter here.